Listen to four of eleven songs below and buy today on iTunes, Amazon, or order a physical CD. Travis' piano compositions are profound expressions of compassion and joy. Lyrical melodies and ambient rhythms take listeners on an introspective journey. Travis provides a live performance experience of palpable expression and wholehearted presence. 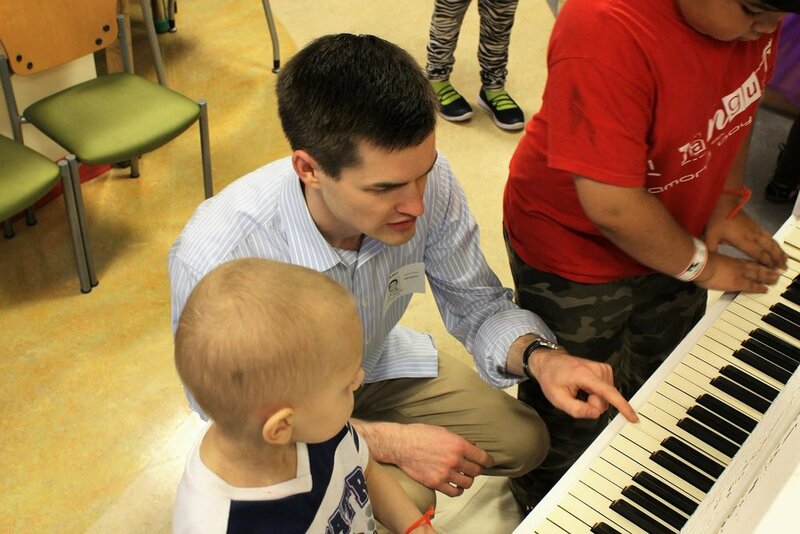 For almost two decades, Travis has made the piano his outlet for expressing complex emotions. Travis is grateful for his Juilliard-trained instructor, Leslie Goldstein, who inspired his passion for music and life. Travis uses the piano as a medium for inciting compassion. His concerts have raised $6,000 for charities. Sign up to receive occasional news and concert updates. We respect your privacy. Thank you for signing up for 'Notes from Travis'! I believe that a large part of life’s meaning is in the depth of our connections with ourselves and with one another. Music is a universal language that connects us in the present, and also to those who came before us and to those who will come after us. My songs are meant to encourage an instinct for compassion by exploring complex emotions and inviting you to dig deeper into new perspectives. I donate a portion of all sales and collect additional donations for charities that reinforce the compassionate elements of human nature. May the success of my music be defined by the extent to which it inspires and helps others, as much as it has for me. Copyright 2018 Malleable Reality Music, LLC.